Some of recent discussions encouraged me to create a thread, where astrophotographs (real, of course!) can be posted. So, you are welcome to post here your shots of the sky! Canon 350D at prime focus. Artlav, which equipment were you using? And here is my shot. I have used Nikon D40 camera with Nikkor 55-200mm lens. Exposure: 1/200 sec., f/5.6, ISO-200. The photo was taken in Riga, in 1st December 2007. 17P/Holmes taken with just my camera. Canon PowerShot A700 for 6Mpix camera and the telescope is labeled "TeleScience", made in China. 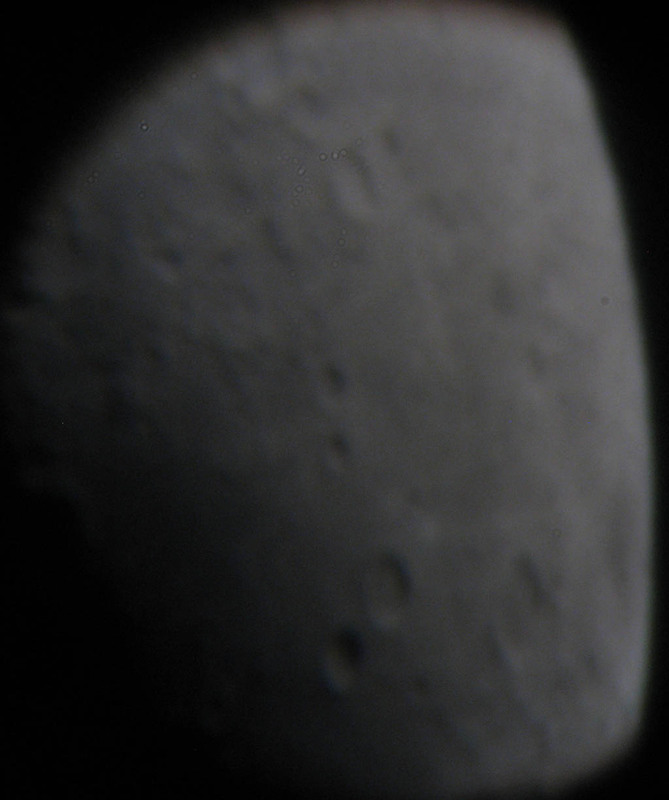 Labelled as having 450x zoom, but in practice it's about half that - you can only see a quarter of the Moon at medium zoom, and maximum won't focus due to shakiness of the structure. I've got a Nikon D40 and I want to get a telescope (and preferably a motor mount to track the sky) that will fit it. I haven't owned a telescope in a good 10 years, so I'm woefully out of practice. What is a good reasonably priced telescope that I can get a Nikon body adapter for and will track the sky? Or is there a website I've overlooked that explains this already? Basically, there's no question of connecting Nikon camera to a telescope. Universal solution is an adapter. Preciously, two adapters: T-mount and 1.25". I've bought them on eBay for $32. The main thing - the telescope. First and main is optical scheme. Basically, you can use any, but in Newtonian you'll have fewer problems with centre of mass. But, as far as I know, people use very different machines. Extra useful feature is a drive that rotates the tube around polar axis. For taking more that 2 astroshots it is obligatory. Also a good and heavy tripod. 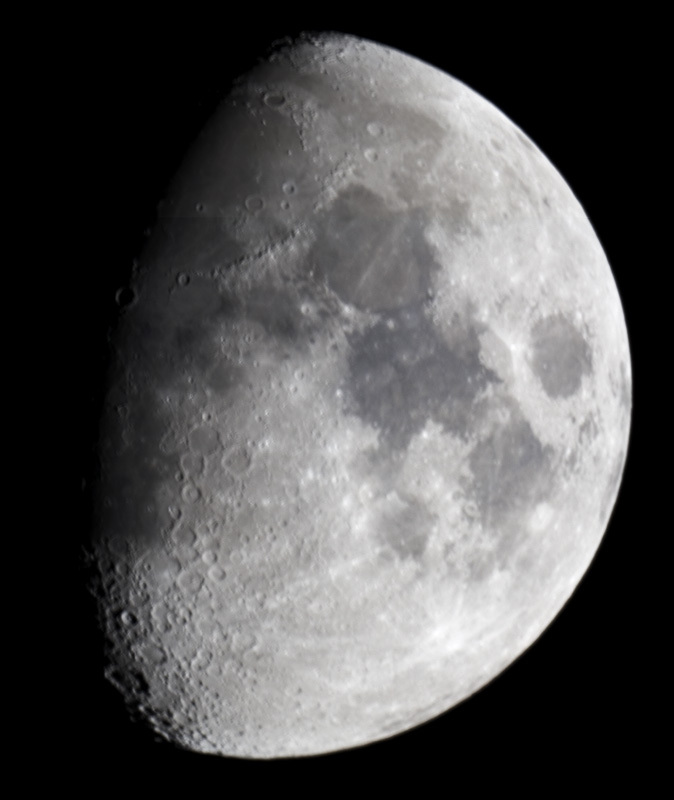 Personally I am using Meade RS-2114 Newtonian reflector, equipped with computer-controlled tripod. This works great, but I haven't interested for other models. This device I received as a prize on an astronomical contest. If you have any questions, you could PM me, and I'll try to help. Here's some of my best shots, the specific scope and camera details are in the links. Who said astronomy can't be cool? Nice photos, btw. Say, I thought this was a G-Rated site . I used to have a statue from Bali that made your 'telescope' look modest. 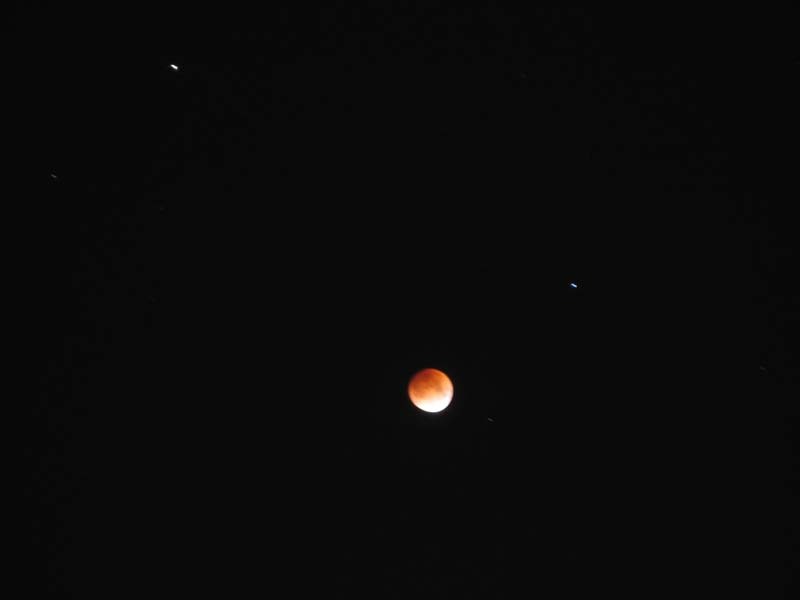 The Moon was the only visible target, and the pictures are far from perfect quality, but that's about the best i can get on my rig. A close of the Moon, the unfocusing gives a weird effect as if Luna had an atmosphere. Do you know of any good books I can pick up or websites that give a sort of "so you want to get into astrophotography" that I might read through? I'm really starting from square one here. I knew I would have to get a T-adapter -- I'd figured that much out from stumbling around the web, but I made the mistake of looking around websites selling them before I knew what I was doing and promptly confused myself. I've got a well established track record now of finding good entry-level models for all my hobbies (the D40, my basic Fender Strat, Spyder MR1, Saitek Yoke and Throttle, RC Trainer, etc...) I'm effectively looking for the good but entry-level automated telescope that doesn't necessarily assume I've been an astronomy buff for the last 10 years. Something nice enough that I don't have to jury rig anything but cheap enough that I don't need to take out a loan for it. Effectively what I know about astrophotography is this: Telescopes are used like very powerful camera lenses. 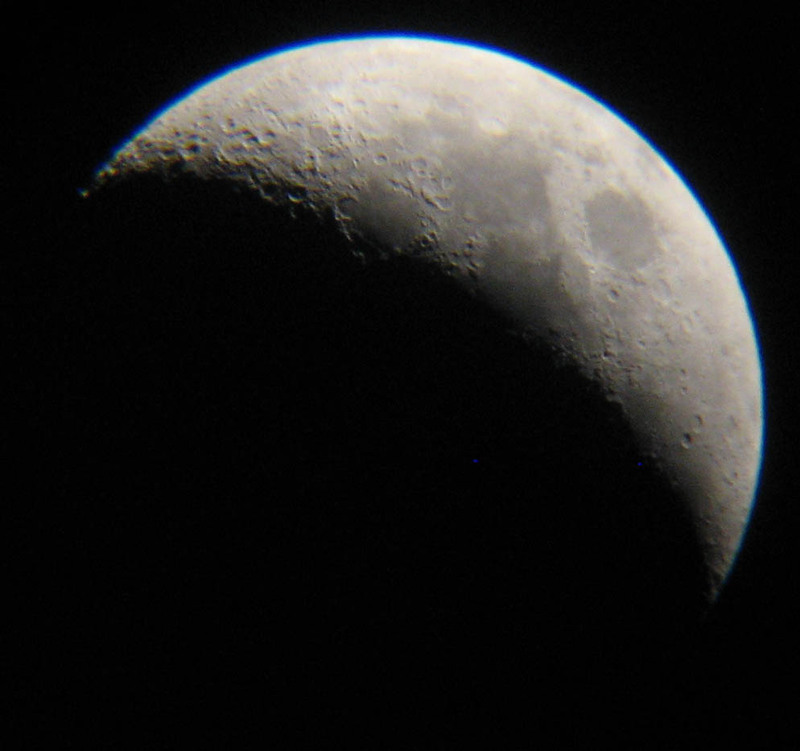 You remove the lens from an SLR and attach it to the telescope with an adapter. To take long exposure shots, you need to track the movement of the sky or get streaked stars (which can be nice too). If possible a telescope that can track specific objects (planets, stars, etc...) would be nice, but not necessary.